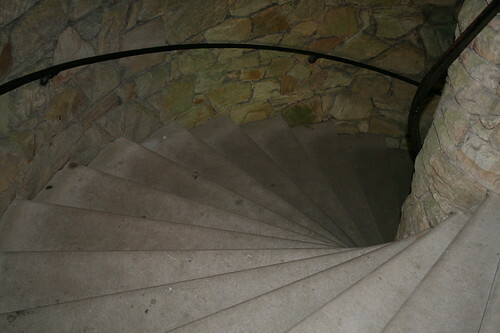 Spiral steps in Bell Tower, originally uploaded by DianthusMoon. Don’t these look like the steps to doom? Actually they are in a neat bell tower at Longwood Gardens in Kennett Square, PA. I think steps will be a popular choice for this hunt. I also went up in a lighthouse-guess I didn’t get a photo of the metal steps. That was quite an experience. I’ve got a spiral staircase too! I played too … please come check it out. They look like they belong in a castle. Cool!